Otis Winston Brazell , born December 3rd, 18851 in Arkansas,2 was a professional baseball player from 1902-1913. 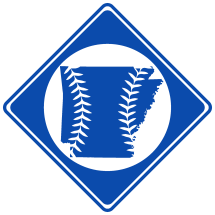 Brazell likely began his baseball career with a semi-pro team in Hope, AR in 1901.3 Otis' brother Earl also played on the team. Brazell played with the Monroe Municipals From 1907-1908, with the Charlotte Hornets from 1908-1909 and the Wilmington Chicks from 1911-1912. 1. Brazell's WWI Draft Card.